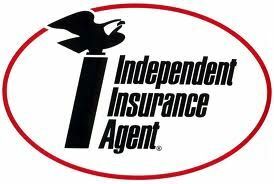 Stover And Crouch Insurance Agency, Inc is the sole owner of the information collected on this site. Stover And Crouch Insurance Agency, Inc only has access to/collect information that you voluntarily provide via steven@stovercrouch.com or other direct contact from you. Stover And Crouch Insurance Agency, Inc will not sell or rent this information to anyone. Stover And Crouch Insurance Agency, Inc will only use your information to respond to you, regarding the information in your direct request. Your information will not be shared with any third party outside of this organization, other than as necessary to fulfill your request, e.g. to ship an order. Have Stover And Crouch Insurance Agency, Inc delete any data stored about you. Stover And Crouch Insurance Agency, Inc takes precautions to protect your information. When you submit sensitive information via the website, your information is protected both online and offline. Wherever Stover And Crouch Insurance Agency, Inc collects sensitive information (such as credit card data), that information is encrypted and transmitted in a secure way. You can verify this by looking for a closed lock icon at the bottom of your web browser, or looking for “https” at the beginning of the address of the web page. While Stover And Crouch Insurance Agency, Inc uses encryption to protect sensitive information transmitted online, your information is also protected offline. Only employees who need the information to perform a specific job (for example, billing or customer service) are granted access to personally identifiable information. The computers/servers in which personally identifiable information are stored is in a secure environment.